Im real picky about what I wear on my wrist when I choose a watch. The watches or bracelets I usual wear when I do wear them which is rare have to stand out, not be the norm, and not look utterly ridiculous. 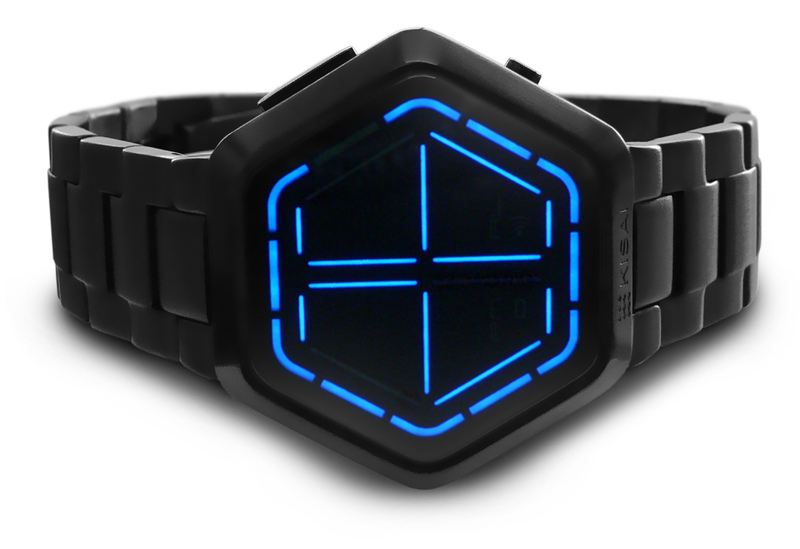 The first time I saw a Tokyoflash watch I fell in love with the designs and concepts that they offered. The watches that Tokyoflash create are true pieces of wearable art for your wrist. 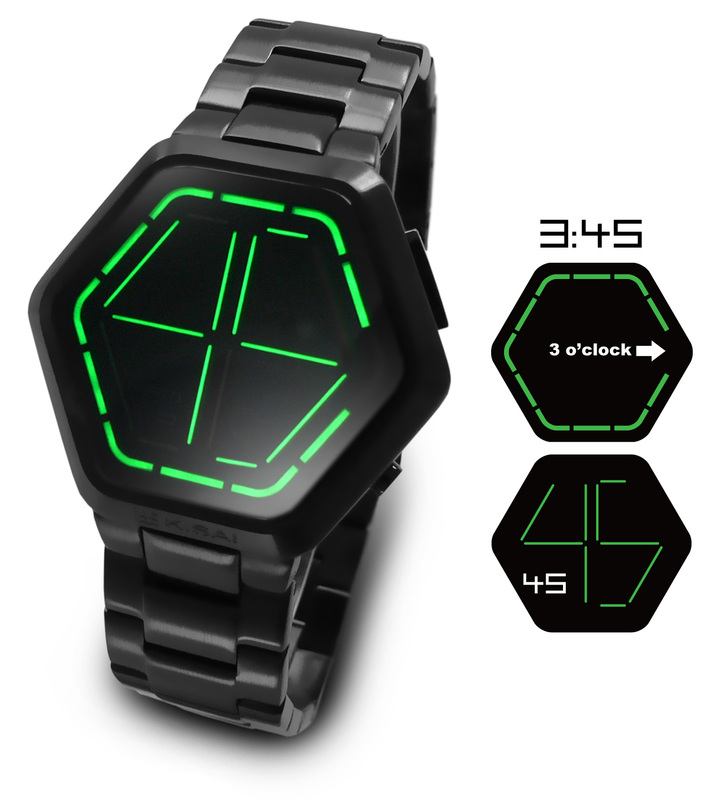 The Kisai Night Vision LED Watch. 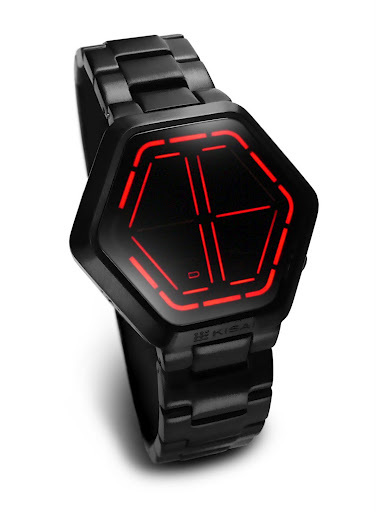 Matte black stainless steel and bright sub-surface LEDs combine to createKisai Night Vision; a modern watch design with an original hexagonal form.